Urethane protected surfaces. 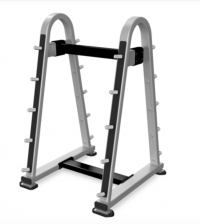 Accommodate standard and EZ Curl barbell systems. Rubber feet for floor protection. Rubber dumbbell saddles. 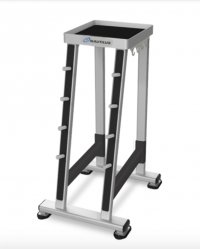 Saddles can be removed for hexagonal dumbbell storage. Rubber feet for floor protection. 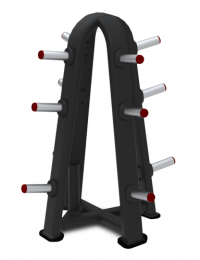 The Weight Tree has six zinc-plated weight horns for plates and collars, with an easy on/off design. 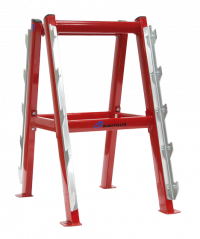 The wide base helps prevent tip-overs, and features a storage area in the center. 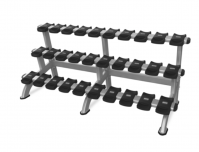 The Two-Tier Dumbbell rack holds ten pairs of dumbbells (5 lb to 100 lb sizes). 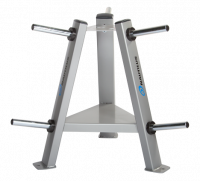 The molded dumbbell saddles protect weights from scuffing. 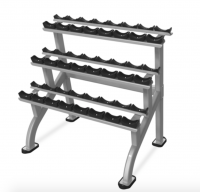 This rack can be nested length-wise to other dumbbell racks.